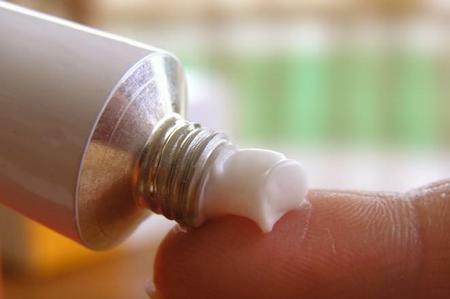 The use of a topical psoriasis treatment is a beneficial option for patients dealing with mild to moderate cases of the condition. These treatments are generally safe and while they are less aggressive than their systemic treatment counterparts, topical treatments for this condition can treat less severe cases locally, minimizing whole-body side effects and providing relief from the symptoms of psoriasis. Corticosteroids, topical treatments for psoriasis, are the most common medical treatment for this particular skin condition. Most often, these medicines come in the form of creams, lotions, foams, salves and ointments that are applied locally to areas on the skin and scalp where the patches of psoriasis are located. A topical psoriasis treatment is a minimally invasive treatment and most can be self-administered in the comfort of your own home. These treatments work by dramatically slowing down the expedited growth speed of the skin cells that characterize the condition while also preventing them from building up on the skin and causing new areas of plaque to form. They also aid in reducing inflammation in the skin, which provides the psoriasis patient with relief from some of the discomfort and skin irritation. Doctors prescribe several different types and strengths of topical treatments to treat a patient dependent on the severity of their psoriasis and the areas where their problem spots are located. Generally, doctors will prescribe a strong topical psoriasis treatment for patients with larger problem areas or for known hard to treat areas such as the knees and elbows. On the other side of the spectrum, most doctors will prescribe a less potent and harsh topical treatment for the patient showing symptoms in more sensitive areas such as the groin or face. Regardless of the strength, most topical require application up to twice daily. 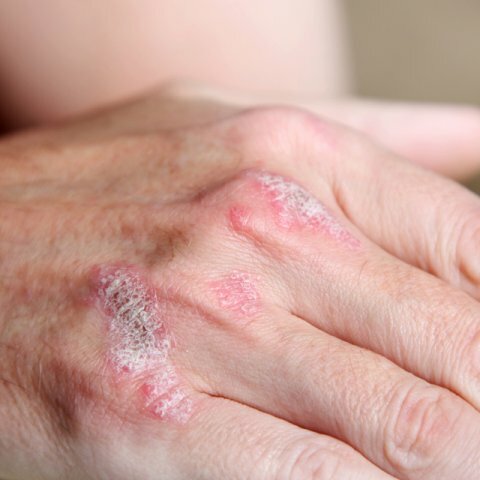 Patients with extremely severe patches of psoriasis may also be a candidate to try occlusion, which is a process that involves applying the topical treatment to an area and wrapping the extremity it in plastic to increase the absorbency and speed relief. Many psoriasis patients find that after using a certain variety of topical treatment for an extended amount of time that it no longer provides the results and relief of their symptoms that it did initially. This is because over time, the psoriasis and immune system can become resistant to the medication and can stop it from working efficiently. It is therefore the practice of most doctors to occasionally change a psoriasis patient’s form of topical treatment as it can prevent resistance and lapses in psoriasis relief. Living with psoriasis is often unpredictable and sometimes even debilitating for a person. It can interfere with your quality of life, lower your self-esteem and affect your personal relationships. Treating this condition with a regular topical psoriasis treatment can help to not only alleviate your symptoms but also prevent future flare-ups, allowing you to live a normal life and decrease the amount of daily anxiety and stress surrounding the condition.